NESsT enterprises invest in communities where poverty is endemic and has become a daily reality. Communities that live in vulnerable environments -- often secluded -- that face discrimination and who simply have not been given an opportunity in life. Until a few years ago, Mari, an indigenous woman and mother from the Curimarca community, subsisted on the sale of potatoes. This seasonal business keeps her community living below the poverty line, like so many in Peru. 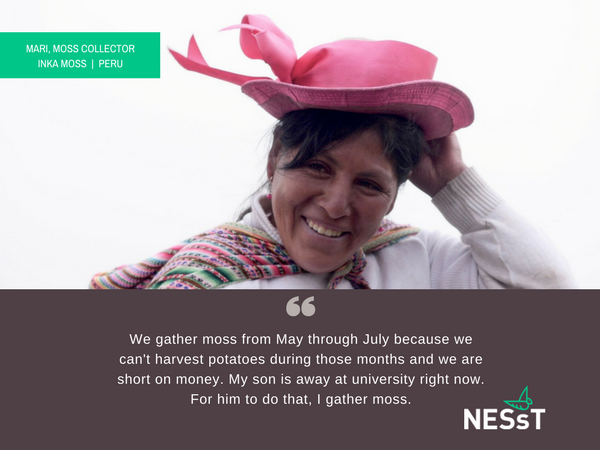 Today, Mari is a moss supplier for Inka Moss, a NESsT enterprise that sells this product to the Asian and U.S. markets for orchid cultivation and water filtration, and as a result, pays her a fair price for the product. NESsT invests in enterprises that empower individuals with the skills, resources and opportunities to break the cycle of poverty. We turned to social entrepreneurship 20 years ago before most knew it existed. More importantly, we have stuck to it, albeit always trying to do it better and for greater impact. How Exactly Did NESsT Start? After the fall of the Berlin Wall, many donors entered Central and Eastern Europe to support new nonprofit organizations that emerged to solve key social problems in the region. NESsT Co-Founder Lee Davis and I became concerned when these donors began to exit the region and withdraw their support. We felt that these fledgling organizations were still too fragile to continue their important work of addressing poverty and exclusion, and strengthening democracy in these countries. We had seen time and time again, how high impact organizations were hampered by their grant dependency. 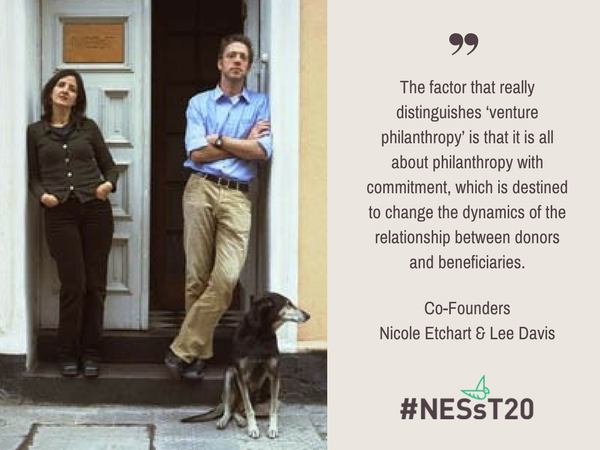 So we decided to create NESsT, an organization that would exist to address the paradigm that dominated the social sector at that time – that of short-term and project-based grant funding. NESsT would provide these social organizations with the tools and capital needed to launch sustainable businesses while addressing poverty and exclusion. We would work in Central and Eastern Europe and Latin America. From the very beginning, we realized the power of social enterprises to make significant and sustainable change. I believe that we are pioneers because of five major milestones that have now become mainstream in our sector. This was THE accelerator program of the time in these two regions. It offered nonprofit leaders the skills needed to develop a business plan and manage a business. NESsT went on to launch at least 50 of these competitions in all 11 countries of Latin America and Central Europe where NESsT manages a portfolio. We did them in conjunction with the major financial institutions and private equity funds in the two regions. Today, there are hundreds of accelerators helping social enterprises get off the ground, and all of these banks have created impact-investing arms. We needed to practice what we preached and generate our own revenues. We expanded our impact and brought our social and environmental impact strategies to corporations, foundations and development agencies. Since that date, NESsT has worked with over 200 clients in 50 countries. Petrom (the largest oil and gas company in Romania), Minera Escondida (a key mining company in Chile), Nike, USAID, IDB, CAF, Unicef, EBRD, the European Commission, Rockefeller, Packard, Open Society Foundations, Inter-American Foundation, have all contracted us to work with their partners and grantees. In the case of Nike, we were excited to support a social enterprise in Kenya that brought a papyrus sanitary napkin to the market that would allow young African women to play sports. Loic, now NESsT Co-CEO, started his trajectory with NESsT as our Consulting Director. In that role, he flew to 30 countries in six years and applied for a new passport every two. Today, the concept of shared value, sustainability and corporate social responsibility have become household words for many. The loan went to Kek Madar in Central Europe that would be used to refurbish a building and expand a restaurant and catering business employing people with disabilities. Eight years later, the enterprise finished paying back its loan, as it sets out to replicate the restaurant, now a highly recognized model, in two new locations. Since then, NESsT has invested over $14 million in social enterprises, about $1 million in loan capital and is creating its first loan fund. Now the need for early stage capital is recognized as a sector-wide challenge and more philanthropic capital providers are starting to get on board. In Peru we supported rural-based inventors, and currently we run NESsT Innova. Last year alone, these technologies improved access to dry toilets, potable water, renewable energy and improved production processes for 10,000 people. Our partnership with Kiva engages thousands of lenders to provide loans to these technology companies. Kiva lenders have funded a total of $135,000 in loans to Upasol, Suritex and Inka Moss. This week, Cafe Compadre is seeking a $25,000 loan to help build a solar-powered coffee roasting plant in Cusco and cover operating expenses to help 40 local farmers increase their income by 70%. NESsT has been committed to sharing best practices, publishing numerous case studies (more than 100), guides, research studies, books and tools, disseminating them to colleagues and entrepreneurs throughout the world. All in the Same Boat was translated into 12 languages and went through three print runs -- 15,000 copies were disseminated to aspiring philanthropists. Our research and practice work, has had a direct impact on policy. This has enabled NESsT to draw stakeholders -- from deeply immersed to merely curious -- to events designed to mobilize the sector. 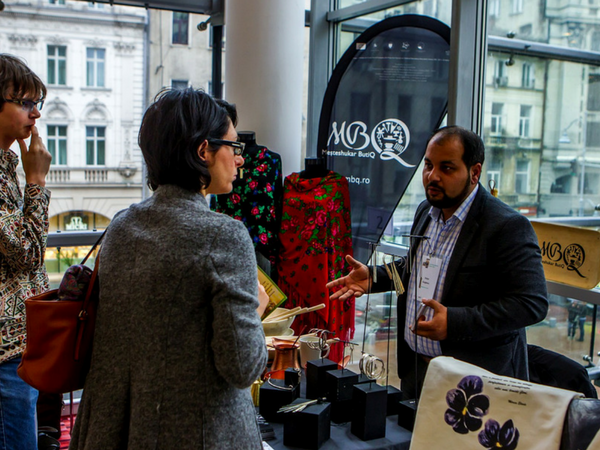 Social Enterprise Day has become an annual event for social entrepreneurship in Europe attracting hundreds (2007). The Social Enterprise World Forum was the first and continues to be the largest event held on impact investing in Latin America (2012). This global momentum has paved the demand for tools like NESsT's Idea2Entrepreneur Platform. It captures the dignity of jobs by measuring qualitative indicators such as social enterprise income, job security and satisfaction, and is on track to reach hundreds of thousands entrepreneurs. 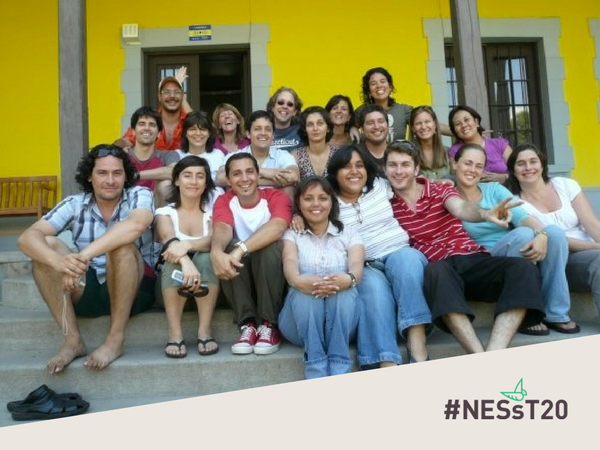 The NESsT family is a network of professionals and volunteers who believed in the organization´s mission, and worked tirelessly to carry it out, building the sector and engaging stakeholders from both the private and public sectors. They didn't know the route, but paved it instead. This is why NESsT is consistently invited to provide policy input. Today, we’re spearheading two Social Investment Task Forces in Peru and in Central Europe to foster more and better capital for early stage enterprises. We are working with many of the most active organizations in the sector to make this happen. And, if it weren't for the hundreds of individuals and organizations who believed in us and supported our uncommon idea and its fruition along the way, we wouldn’t have gotten most of this done. With this experience and the global recognition that entrepreneurs can solve social problems, NESsT is now better positioned than ever to scale our work. However, our biggest accomplishment is what none of these numbers can truly reflect. It’s the impact that NESsT has on the lives of people most in need. This is the true reason why NESsT exists. We did what we set out to do from the start. For Tomasz, a young man who until recently spent his entire day in a mental health institution is today fully employed as a care provider by the Polish social enterprise Siedlisko, who runs a center for the elderly and chronically ill. To see Tomasz' face light up as he works with the residents of the Center is to see dignity at work. To reach 50,000 more people in the next five years, NESsT will invest in 80 enterprises that are beyond start-up but not yet scaling. This is the missing middle, where innovation aimed at making significant and long-lasting change really happens and where we can make the greatest contribution. We will launch our $15 million dollar loan fund to provide patient capital to companies generating dignified jobs for people most in need. Get involved to support companies that bring dignity to the forgotten and create a healthier and more sustainable planet. We really can't do it without you.